For the past twenty-five years, the Borough of Redcar and Cleveland has been officially twinned with the town of Troisdorf in the North Rhine-Westphalia region of Germany. To mark this special anniversary a group of over thirty citizens and community leaders from the town of Troisorf made an official visit to the Borough of Redcar and Cleveland, during which they spent the afternoon of Friday 25th September 2015 in the Parish of Loftus. Guests and members of the twinning association were officially welcomed to Loftus by the Mayor of Loftus, Cllr Mr Mike Hodgson, who hosted a special civic lunch held in honour of this historic visit in Loftus Town Hall. Earlier in the day the delegation had already visited the treasures of the Loftus Anglo-Saxon Princess, which are displayed at the Kirkleathm Hall Museum in Redcar. Following the civic lunch in Loftus Town Hall, the delegation was then treated to an excellent speech by Dr Stephen Sherlock, the archeologist who discovered the remains Anglo-Saxon Princess at Street House in Loftus, who gave a short talk about the international importance of this remarkable find. Following on from lunch the delegation made its way into Saint Leonard’s Parish Church Loftus, where the Rector, Father Adam Gaunt, spoke about the history of the Church and more generally about the life and work of an Anglican Parish and of the Church of England. 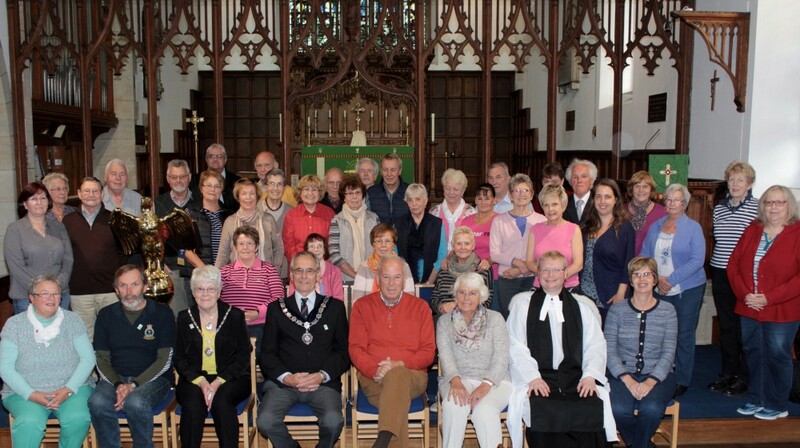 Saint Leonard’s Parish Church Loftus was also the chosen venue for an official group photograph of the delegation’s visit to Loftus (above). The afternoon in Loftus Parish then concluded with a visit to Street House and the actual site and burial ground of the Loftus Anglo-Saxon Princess. At the burial site another short presentation was delivered by Dr Stephen Sherlock on the significance of the location and of its remarkable treasures.